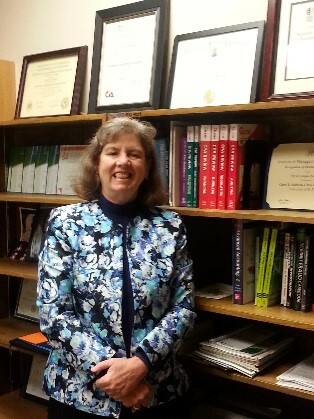 Dr. Carol Sullivan received a doctorate in accounting from Texas A&M University and is an Associate Professor of Accountancy. She specialized in Information Systems in her master’s and doctorate programs. She has her CPA certification and worked for several years in the accounting profession, both in public and private firms. Administered by the College of Business, Accountancy is a discipline involving quantitative and qualitative information essential to the decision-making functions required in every type of organization. The Bachelor of Business Administration (BBA) degree with a major in Accountancy affords the opportunity for students to prepare for careers in managerial, governmental and not-for-profit accounting. Individuals who have earned a BBA degree with a major in Accountancy are encouraged to seek appropriate professional certifications such as CMA (Certified Management Accountant), CIA (Certified Internal Auditor), CFE (Certified Fraud Examiner), and CISA (Certified Information Systems Auditor). Individuals can also pursue the CPA (Certified Public Accountant) Certificate with a BBA, but must have 150 hours of educational credits to qualify for the exam. Students who wish to pursue the CPA (Certified Public Accountant) designation need 150 credit hours to meet Texas Certification requirements. Students seeking to become a CPA are advised to follow the BBA in Accountancy with a Master of Professional Accountancy (MPA) degree or a Master of Business Administration (MBA) degree. For more information on this degree, please refer to the appropriate section of the Graduate Catalog. BBA students should work closely with an academic advisor in preparing for the MPA or MBA degree in order to avoid additional courses. A Dual Degree Program leading to a concurrent BBA and MPA is available for qualified students. The Dual Degree Program description and requirements follow the BBA requirements below. 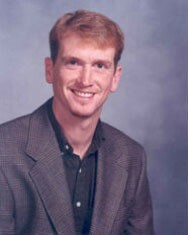 Scott A. Carson, Ph. D.
Dr. Carson is a professor of economics in the College of Business. His research interests include labor economics and labor market development, the interaction between economics and health, and the influences of institutions on economic growth. Dr. Carson’s current research considers the biological consequences of America’s 19th century transformation in the Deep South from slavery to free labor on both African-Americans and European-Americans. Dr. Carson is a Research Fellow at the University of Munich and teaches the summer microeconomics and econometrics courses at the University of California – Berkeley. The Economics program is designed to afford students the opportunity to prepare as economists or to serve other disciplines, such as accounting, finance, management, marketing, government, education, sociology or history. Economics includes two broad areas: microeconomics and macroeconomics. A basic understanding of economics is essential for a well-informed citizenry since most of today’s problems have important economic aspects. It is also a vital discipline for, and is of practical value in, business decision-making. An understanding of the overall operation of the economic system puts businesses in a better position to formulate policies. Microeconomics is an area applicable to any study of human endeavor where scarce resources must be allocated among competing uses. It is the study of humankind’s behavior in producing, exchanging and consuming material goods and services. Macroeconomics includes the study of the performance of the economy as a whole and includes such problems as inflation, unemployment and the rate of economic growth. Both areas include forecasting, a skill enabling individuals, firms and governmental bodies to adjust to anticipated economic conditions. In economics, problems are examined from a social, rather than an individual, point of view. A Bachelor of Arts (BA) degree in Economics aims to prepare students for participation in public affairs, positions in business and government service. It offers a strong foundation for pre-law students and for further graduate study leading to teaching and research positions in universities, government and private enterprise. 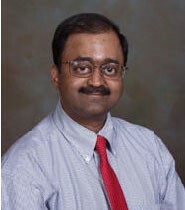 Prakash K. Pai, Ph. D.
Dr. Prakash Pai earned a doctorate in Finance from Kent State University. He also has an M.S. in Accounting and an M.B.A. from Kent State University and a Master of Commerce degree from Bangalore University in Bangalore, India. His professional certifications in banking include an International Banking Operations Certificate from The Chartered Institute of Bankers in London and a prestigious Diploma in International Banking from the Indian Institute of Bankers in Bombay where he was a commercial banker for many years. Dr. Pai’s scholarly interests include derivatives trading and risk management at banks and other financial institutions. His teaching interests include financial markets and management of financial institutions. Dr. Pai was honored for his teaching with the College of Business Outstanding Teacher Award in 2008 and as well as the UTPB President’s Teaching Award in 2009. He currently serves as the faculty advisor to the UTPB Finance Club. He is a member of the Financial Management Association, the American Finance Association, and the Chartered Institute of Bankers in London. The College of Business administers the Bachelor of Business Administration (BBA) with a major in Finance. The degree provides an understanding of financial markets, financial institutions, and financial decision-making of businesses. The course work provides training in conceptual and quantitative tools that a financial professional needs to know to be successful. Finance is a discipline that is grounded in economics and draws many of its tools from accounting. Thus a Finance major takes courses in economics and accounting beyond those required of all business majors. 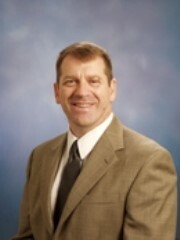 Dr. Stauffer received a Ph.D. in management from the University of Oklahoma. He has an undergraduate degree in production/operations management and an M.B.A from Western Illinois University. He holds an M.A. in human resource management/industrial relations from the University of Iowa, where he also studied applied statistics and measurement at the Lindquist Center. His specialty is in employment testing and EEO. He has published in such journals as Psychometrika, the Journal of Applied Psychology, Psychological Methods, and Educational and Psychological Measurement. Administered by the College of Business, the primary goal of the Management program is to give students an understanding of the nature and capabilities of people working in organizations. Faculty and business leaders believe an understanding of management theory and research provides the foundation for effective application and practice in the business environment. This foundation prepares students for careers in management such as administrators, executives, human resource managers, management consultants or entrepreneurs. 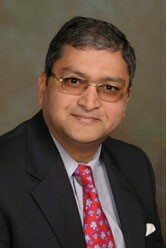 Dr. Anshu Saran earned his doctorate in International Business and Marketing from The University of Texas – Pan American. He joined academia after working in the corporate sector for 12 years. Dr. Saran teaches Marketing Research, Marketing Management at the undergraduate level, and Business Research Methods at the graduate level. He has published several papers in international journals such as Business Horizons, Journal of Marketing for Higher Education, and International Journal of Electronic Marketing and Retailing. His main research interests are international consumer behavior, marketing strategy, and scale development. Administered by the College of Business, the Bachelor of Business Administration degree in Marketing is designed to provide a broad fundamental knowledge of the nature, structure, institutions, and functions of marketing. The student graduating with the degree can expect to be competitive in the general contexts of sales and marketing. In addition, the student will be able to analyze information that are critical to making marketing decisions whether in manufacturing, distribution (including retailing), service, or not-for-profit industry sectors.